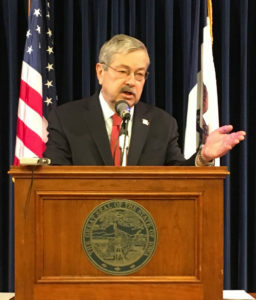 Governor Terry Branstad delivers what is likely to be his final “Condition of the State” address to legislators later this morning. Branstad and his staff have been drafting a state spending plan that will be released today. 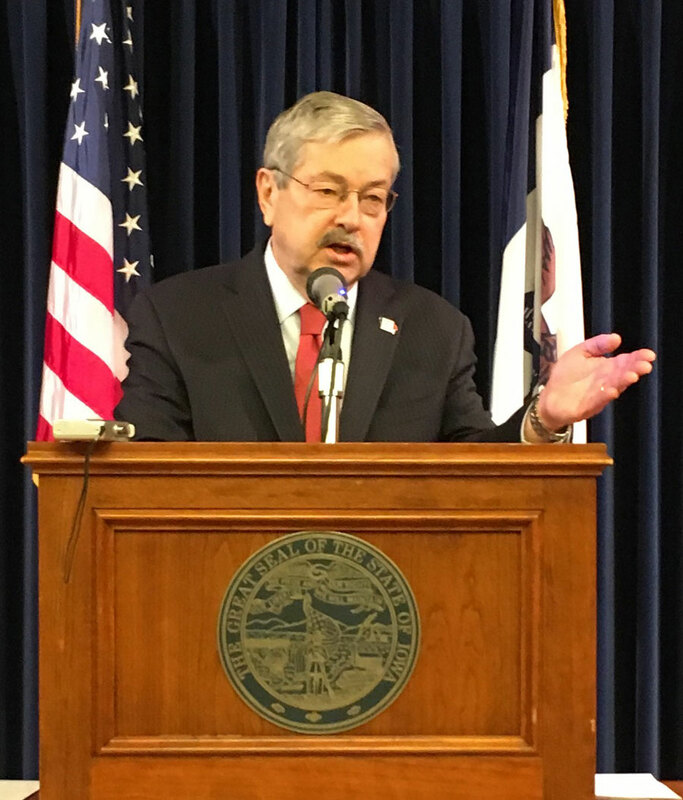 Branstad’s also planning a “smaller, smarter government” initiative that could significantly reduce the number of state boards and commissions. All that state-level policy stuff has been happening as Branstad prepares for his new role as U.S. Ambassador to China. Branstad’s daughter, son-in-law and their two children are tentatively planning to live with the governor and his wife to China. Branstad believes his daughter Allison, her husband Jerry Costa and his granddaughters Sofia and Stella will be able to live in a guest house on the embassy grounds. Branstad and his wife, Chris, are hoping their two sons and their families will be able to visit. Branstad admits one concern for him and his family will be the air quality in Beijing. The embassy Branstad will oversee has 2,000 employees. Branstad can properly pronounce the name of China’s president and a few of the cities he’s visited during trade missions to China. Branstad said late last week that he hasn’t had time to learn much Mandarin. Branstad has just completed his 22nd year as governor. The House chamber is where Branstad will speak today, starting at about 10 a.m. Branstad was a legislator for six years before his election in 1978 as Iowa’s lieutenant governor. He won his first term as governor in 1982. In 1986, Branstad and legislators dramatically reduced the number of state agencies. “This time we’re really going to focus on boards and commissions and some of the overreach that we’ve seen there,” Branstad said. The governor faults some state boards for creating some “ridiculous” regulations. Branstad cited the State Health Facilities Council that reviews requests for hospital expansions. Branstad said it seems to him some hospital executives have been more interested in keeping competition out than in serving patients. Under current Iowa law, hospitals have to submit applications to the Department of Public Health to get a “certificate of need” before hospital facilities can be expanded. In addition to expanding bed or patient space, Iowa hospitals, nursing homes and outpatient surgery centers must get permission from the State Health Facilities Council to buy medial equipment that’s worth more than $1.5 million.